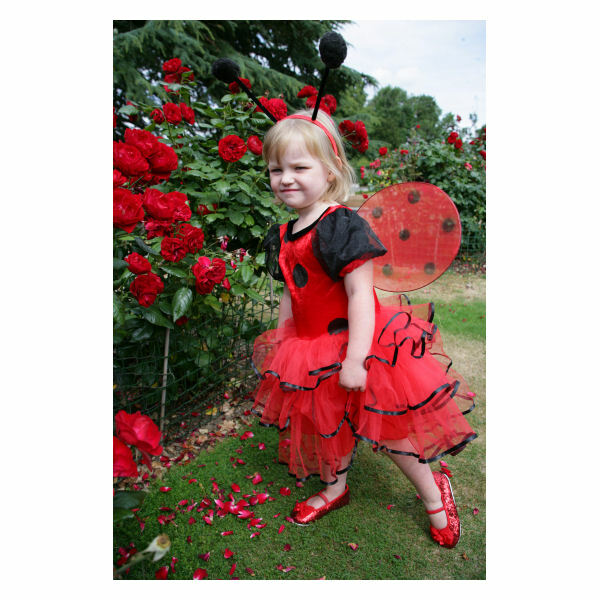 A soft red and black velour spot bodice with a pretty ribbon edged net layered skirt. 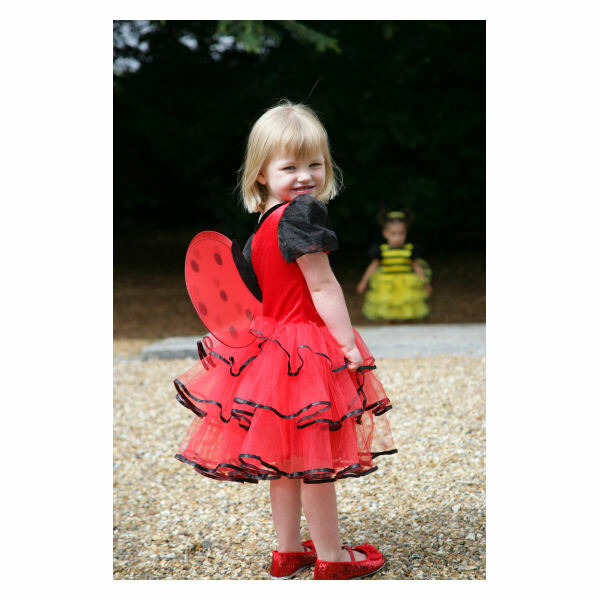 This style includes antennae boppers and cute removable wings. The spot red wings are removable. Available in three sizes, 18 months-2 years, 2-3 years, and 3-5 years. A soft red and black velour spot bodice with a pretty ribbon edged net layered skirt. 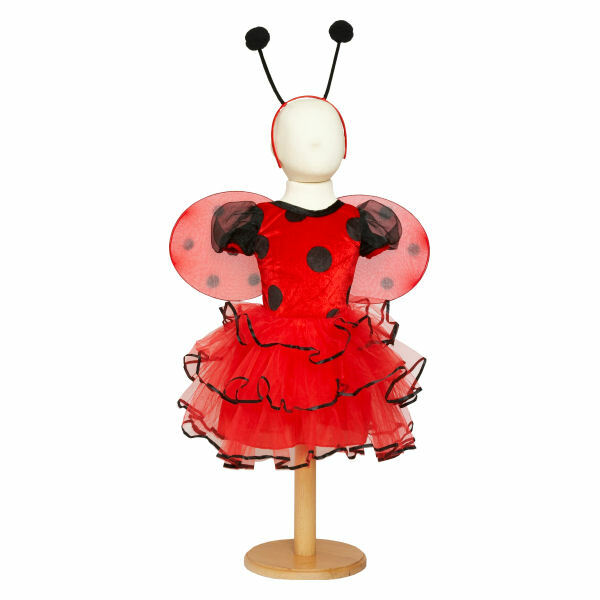 This style includes antennae boppers and cute removable wings. For our full delivery prices and schedule please Click Here. Items shown in stock are usually dispatched same day for orders received by 2pm. A signature is normally required for delivery. Chose expedited delivery for urgent orders particularly at busy times of year. We cannot dispatch to PO boxes or if invoice and delivery addresses are in different countries. We usually dispatch once all items are available for your order. Please check tracking details online before contacting us for delivery updates. Delivery is chargeable if you supply incorrect delivery details, even if you originally qualified for free delivery. Customers are responsible for import fees for non EU destinations. VAT is automatically removed at checkout for non EU destinations. We will contact you prior to dispatch if anything is different.